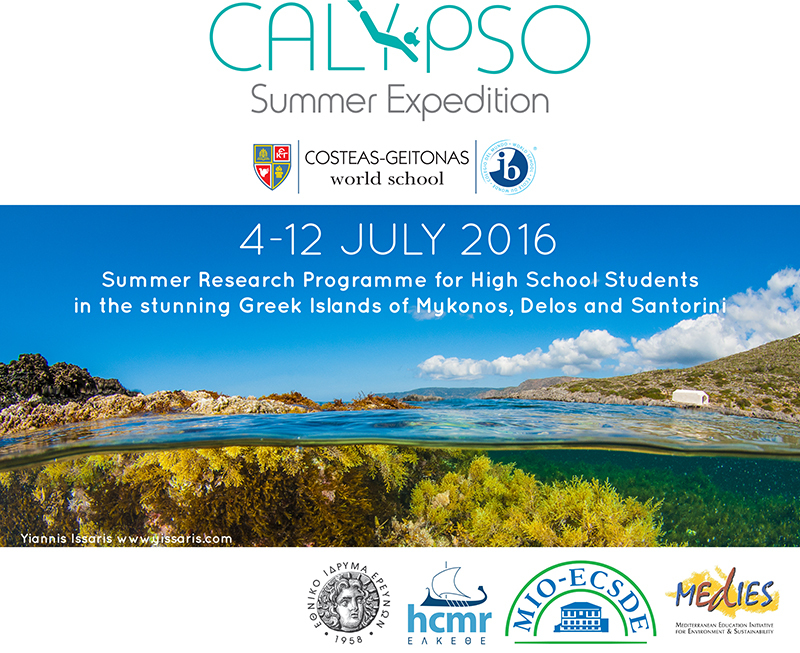 Costeas-Geitonas School in collaboration with the National Hellenic Research Foundation, the Hellenic Centre for Marine Research and the Mediterranean Information Office for Environment, Culture and Sustainable Development, is proud to offer “Calypso”, a summer research expedition for high school students in Athens and the stunning Greek islands of Mykonos, Delos and Santorini. Calypso is an intensive 9-day summer programme, designed for students between 15 and 18 years old from Greece and abroad, who are intrigued by marine sciences, the environment and Greek history and culture. During the course students will have a unique opportunity to explore archaeological, historical, environmental, oceanographic, biological and geological elements of some of Greece’s most beautiful and popular Greek islands, under the guidance of experienced researchers and educators.